Xiaomi reportedly seems to be working on a new smartphone under its Mi 9 series, which is also popularly called as Mi 9X. For the last 3 months, we witnessed several phones from the house of Chinese phone maker that includes Redmi Note 7, Note 7 Pro, Mi 9, Mi 9 SE, Redmi Go and Redmi 7. According to a post on Weibo, the key specifications and expected price of the upcoming Mi 9X phone seems to be leaked ahead of the official launch. 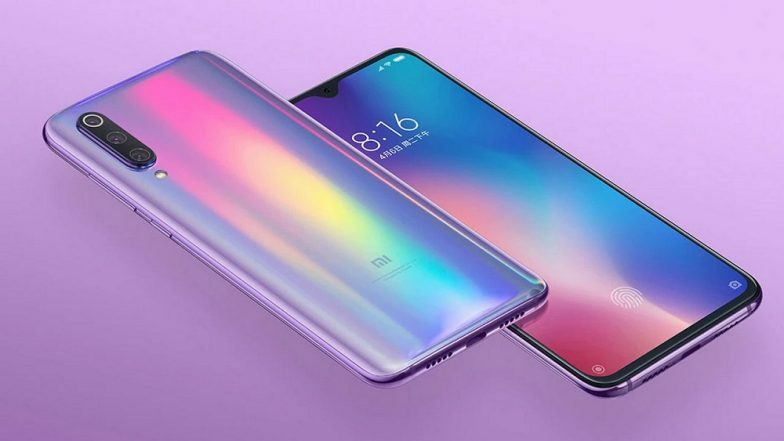 The micro-blogging site hints that Xiaomi's Mi 9X phone will be toned-down version of Mi 9. Xiaomi Redmi 7, Redmi Note 7 Pro Smartphones Launched in China; Prices, Specifications, Feature & More. The post also revealed that Mi 9X will sport dot drop notch, triple rear cameras, single lens upfront, Snapdragon 675 SoC. It is important to note that the chipset will be lifted from Redmi Note 7 Pro. The phone will sport a 6.4-inch AMOLED display with FHD+ screen resolution and 19.5:9 aspect ratio. The post also hinted that the phone will be introduced as a sole variant with 6GB of RAM and 64GB of internal space. However, the company might add other variants too. For photography, there will be a triple cameras at the rear wherein the 48MP sensor will be a primary shooter, while the secondary shooter will be a 13MP lens for ultrawide shots. The third lens will be an 8MP lens for depth sensing. The smartphone is also tipped to feature a 32MP shooter for selfies and video calling and it will be positioned inside the dop drop notch. The phone will be backed by a 3300 mAh battery along with 18W Quick Charge 4+ fast charging compatibility. As far as the pricing is concerned, the Xiaomi 9X phone is likely to be priced from CNY 1699 which is around Rs 17,500. The phone is expected to be launched in the China market first followed by other markets. Taking Xiaomi's previous strategy of not introducing Mi Series in India, it is speculated that 9X might not come to India. It is also rumoured that the company could launch Xiaomi Mi 9X as Mi A3 in the domestic market. However, there is no confirmation to it and might have to wait till some details arrive from the Chinese phone maker.